Hollywood has made so many films about body swapping (and its spiritual cousins: body hopping and transmigration), I’m still a bit surprised whenever I meet someone who’s oblivious to its existence. Despite evidence from some of our finest filmmakers, clues that have been screening in our local theaters for decades—your Freaky Fridays, your Bigs, your Get Outs, your Being John Malkovicheses—it remains a hard topic to broach with the uninitiated. But so it goes. For centuries, the world’s greatest storytellers have tried to shine a light on this profound truth, only for the unfamiliar to glance in its direction and see nothing at all. It has made life difficult for those of us who study the phenomenon. Like, the second you mention someone’s body is under the control of another person, some listeners start to get all weird. As enlightened as we human beings have become, we’re still not that woke about some things. I am here for the awakening. You are blessed to be reading the work of an expert on any-and-all things body swapping. I have been on the front lines, reporting on it for years; discovering its uses, compiling a detailed list of the people who participate in its secretive rituals, and developing an intimate knowledge on the inner-workings of its governing body (sorry), The Body Migration Society. I mention this only because it’s my decades of research, and my years of asking the right questions, that now afford me great confidence when I say my most recent discovery is, quite possibly, my most shocking yet. Someone has broken Society rules. And broken them in a big way. A 7’3” way to be exact. Flashback to this summer in Johannesburg, South Africa; where the weather was hot and humid, but spirits were high. And why not? Two of the most famous names in international basketball—Dirk Nowitzki and Kristaps Porzingis—were in town for the upcoming 2017 NBA Africa Game; ready to suit up on the same team for the first time ever. In the days leading up to the game, Nowitzki and Porzingis appeared to be in the middle of a budding friendship. The two stars could be seen attached at the hip for nearly every promotional event; sitting down for an interview to discuss their mutual admiration for one another, and working out together in a session where Nowitzki taught Porzingis some of his patented floor moves. To the untrained eye, everything appeared normal. Hell, even to an expert like myself, it all seemed pretty routine. But if my years in body swap study have taught me anything, it’s that not everything is what it appears to be. Looking back on it now, I should’ve realized something was afoot the minute the final whistle of the NBA Africa Game blew. The game in which Porzingis showed-out; looking like a foundational star with a level of poise that was well beyond his years. The game in which Dirk moved around the court with the stiffness of a man trapped inside a tiny suit. At the time, I chalked it up as a fluke occurrence. The strange kind of thing that can happen during a meaningless exhibition game taking place in a foreign land. My god. How wrong I was. It’s clear now, what we should’ve been watching was not the interview, or the workout, or even the game itself (although they all provide meaningful context). No, the thing we should’ve been watching, as it is so often in our world, is exactly what they didn’t want us to see. The sneaky, sinister thing that happened after the promotions, but before the game. The forbidden ritual that took place in that period of in-between; under the cover of a charity event, one night in South Africa; when all the cameras were turned off, and no one was around. The moment when Dirk Nowitzki put his brain inside Kristaps Porzingis’ body. Now look, I get it. If you weren’t sold by my brief introduction to the topic of body swapping, you’re probably thinking that statement sounds insane. But you should know that in the NBA this kind of thing that happens all the time. NBA stars make up one of the most active sects in the body swap community; and if Dirk Nowitzki’s mind had simply entered into another person, this wouldn’t even be worth the time it took me to write it up. No, what makes Dirk’s body swap noteworthy (as opposed to commonplace) is that he broke two major rules in doing so. And those rules carry the gravest of consequences when you consider what’s truly at stake. The words that Dirk spoke during his interview with Porzingis now drip with ominous overtones. “The only advice I would give young guys is to keep your ears and eyes open,” he said. It seems Nowitzki wanted the impressionable youth of the NBA to be open to all sorts of things. 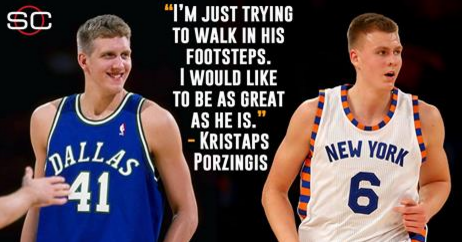 The sentiments Nowitzki directed at the young Porzingis sound even scarier still. “He’s got his head on straight, he’s working hard, wants to get better and learn. On the court, I don’t think we’ve seen a 7-3 guy shoot it and put it on the floor like that, block shots like that,” he said. Correct me if I’m wrong, but that sounds like a man looking to upgrade. The wheels of an “NBA nice guy” turning toward a heinous act. A clever man seizing the opportunity for a clever crime right in front of us. If you remove cumbersome issues like morality from the picture, it’s easy to see why Nowitzki would have chosen Porzingis as his target. Dirk probably looked at the 22 year-old Latvian and saw a slightly taller, slightly more athletic, much newer version of himself. It seems likely he also saw a player in a situation very similar to the one he found himself in so many years ago. Looking back on his own career, it’s no doubt Nowitzki fondly remembers the leap he took in his third year; propelling an extremely thirsty Dallas Mavericks franchise to their first playoff berth in over a decade. It would make sense if Dirk saw a chance to relive his glory years by doing the same for the playoff-starved Knicks. A postseason run fueled by their best young player blossoming into a star right before their eyes; another chance to make the leap. Of course, this leap was something Porzingis looked primed to make in his third-year, whether he had bumped into Nowitzki in South Africa or not. The problem now is that Porzingis’ performance is far surpassing what anyone could have logically expected; a historical outlier that was bound to raise suspicion from people in my field of study. One month into the season, and it seems clear that Dirk Nowitzki is enjoying his new body a little too much. Porzingis (or as I’ll call him, Podzingis, since it’s merely his body) is already an early season contender for MVP, clocking in at second(!) in the league in PER, and dragging an abominable Knicks’ roster to a 6-5 record. Not only that, but Podzingis has a legit chance to lead the league in both scoring and blocks; a feat that has never been accomplished in the NBA (he is currently second and third in each category), and never even sniffed by Nowitzki during his first career. Meanwhile, the Dallas Mavericks are truly in a sunken place. They have the worst record in the NBA; and on any given night, what’s left of Dirk can be found lurching around on defense like an alien in human skin. The juxtaposition between the performance of these two players after making contact in South Africa is simply too glaring to ignore. If Podzingis had only flashed a few 40-point games at Madison Square Garden and spent the season shaping himself into the generational star it already appeared he could become, all of this might’ve flown under the radar. Unfortunately, the basketball IQ, consistency, and confidence he has wielded this early in his third season has shown itself to be both astounding and damning all at once. There was simply no way this kind of performance would go unnoticed by myself and other members of the body swapping blogging community (or the BSBC for short). Let alone unnoticed by the Society itself. As the evidence piles up as fast as Podzingis piles up highlights, the mystery no longer appears to be if a body swap took place, but how? Whether the original Porzingis had a cup of tea with the wrong person, made a poorly constructed wish to a mysterious fortune-telling machine, or pissed into the same fountain as the original Dirk—no one can say for sure—but at least now, we know enough to start asking the right questions. Another question that remains is what will happen to Nowitzki if he is found guilty? Because, as I mentioned earlier, the issue is not that Nowitzki body swapped, it’s how he body swapped. The inescapable consequence that a switch with Kristaps Porzingis means Dirk Nowitzki broke two Society rules to do so. And maybe worst of all, that he doesn’t even seem to care. If what I’ve discovered is true, the first rule that Nowitzki broke was that he body swapped with someone in the same profession (in this case, an “in-sport” swap). While this rule is considered more of a social convention, and not specifically outlawed by Body Migration Society doctrine, I’ve talked to enough people within the community over the years to tell you that breaking it is extremely frowned upon. And that frowning carries repercussions. This particular Society convention is cherished because it gets to the heart—the grander purpose—of body swapping altogether. Body swapping is a tradition rooted in the pursuit of wisdom and success; the ultimate goal being the creation of an ultra-accomplished class of humans who can use their experience (sometimes centuries of it) to move our culture forward. This essentially demands that body swappers routinely take on new fields of study, attempt new feats, and conquer new challenges in order to expand their horizons. For those accomplished enough to find themselves eligible for body swapping in the first place (your world-class doctors, your Pulitzer Prize winning authors, your NBA Hall of Famers, etc. ), using one’s second life (or third, or fourth, or fifth) to do the same thing all over again is seen as remarkably gauche. To say the least. What Nowitzki did goes far beyond bad manners. If Nowitzki did, in fact, switch with the 22 year-old Porzingis, that means he also swapped bodies with a high-potential candidate who has yet to reach the prime of their career. Such an act is expressly forbidden by The Vice Versa Convention of 1894. This law is considered a key tenet of Society doctrine, as back then, there was an epidemic of early-life switches into highly talented candidates that robbed the Society of many of its future members. As existing members swapped into the bodies of some of the world’s most promising prodigies (renowned composers, wealthy business magnates, groundbreaking physicists, etc. ), Society membership dwindled to near catastrophic levels as there was no longer enough successful people to round out a healthy new class of swappers. Obviously, there’s no need for me to go into the vast ramifications of that here (there’s a large collection of information on this topic to be found online). Suffice it to say, just like when any cataclysmic things happens in our world—The Great Depression, World War II, The Black Sox Scandal—human beings tend to write rules to keep those things from ever happening again. (In this case, The Great Depression led to The New Deal, World War II led to the Paris Peace Treaties, and the Black Sox changed their name to the White Sox.) The Body Migration Society was no different; correcting course because the future of the Society depended on it. But hey, you get it. In doing my research for this piece, I have to admit, the Dirk Nowitzki fan in me hoped that this was merely a “migration furlough” (the technical name for, what is essentially, a body swap vacation; a temporary stay inside the body of another just for fun). But unfortunately, there is just no evidence for that. Furloughs must be pre-approved by a Society Tribunal—meaning there would be extensive documentation on the time, person, and place—and I have yet to see any records that would support such a theory. It seems clear this wasn’t a case of Michael Jordan being inside Jose Altuve for the Astros’ World Series run. Or Shaquille O’Neal swapping bodies with Joey Chestnut because he wanted to experience what it was like to play a sport where being fat wasn’t a problem. 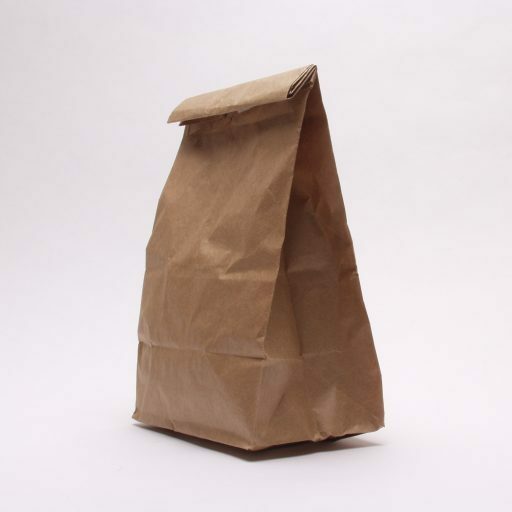 No, this appears to be an egregious violation and nothing more. If enough evidence exists—and considering the outstanding investigative work I’ve laid out here, it appears there will be—it seems the Society will have no choice but to convene and revoke Nowitzki’s body swapping privileges permanently. Tragically, this means that the remainder of Kristaps Porzingis’ career will be the last time any of us get to watch Dirk Nowitzki do anything. While it saddens me to know this is true, there is also a part of me that’s happy to know my favorite athlete bucked the system. That one of the most loyal and dependable NBA stars the world has ever seen, finally broke the rules so he could keep doing what he loved just a few decades longer. Even if he looks a little taller. Even if he plays a little different. Every time I see him in that new, #6 jersey, I’ll smile knowing the goofy German I grew up watching is right where he wants to be. As for the mind of Kristaps Porzingis; the mind now trapped inside the body of a rapidly aging man? Well, when that body forces him to retire at the end of this, its 20th season, I will pour one out for him too. A little something extra for “The Zinger”; in honor of his sacrifice, and to think about what might have been. A unicorn that must remain a myth. EDITOR’S NOTE: The author, Doug Cooper, is very aware that body-swapping is not, in fact, a real phenomenon. He fully understands that no scientific evidence exists to support the wild claims he has just made in this piece. In reality, Doug Cooper is simply having an extremely difficult time coming to terms with the fact that the career of his favorite athlete of all-time, Dirk Nowitzki, is coming to an end. While it may have been irresponsible on my part to allow him to publish a piece that engages in such outlandish and speculative fantasy, I decided to indulge him in the hope he might cry less in the office.